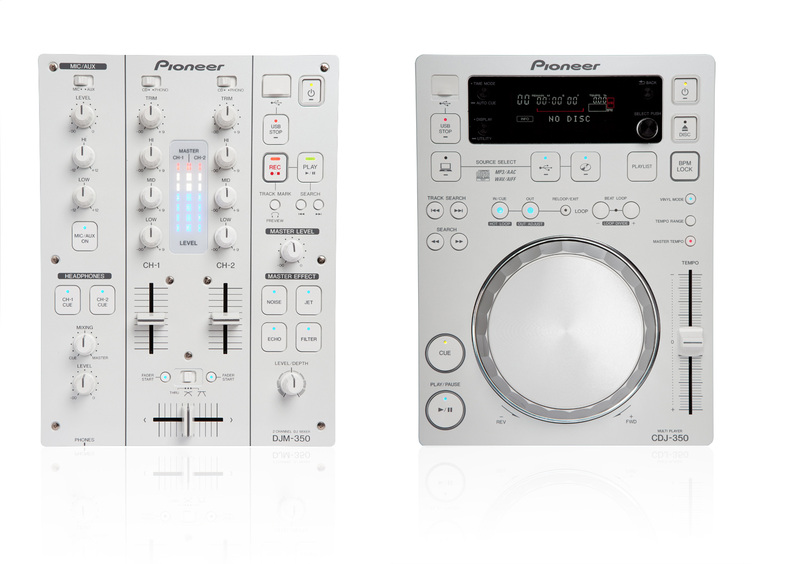 Pioneer Electronics introduced a new white version of their CDJ-350 digital media players and a DJM-350 2-channel mixer for DJs. The new versions have the same specs as its black siblings, which the company unveiled earlier this year and only adds two additional audio effects – Noise and Short Echo. 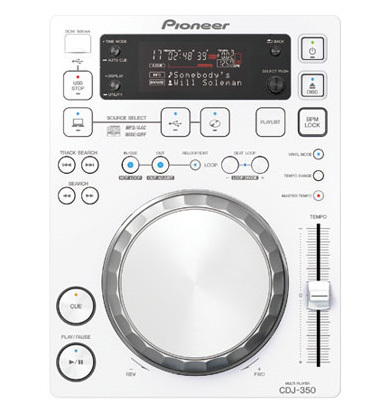 The CDJ-350-W Multi-media Player is vibration resistant and has BEAT Display Function that visually illustrates the beat position of a song and the playback point to allow you better hand-eye coordination for when performing scratches and loops. It is MIDI-compatible, allowing it to be used as an audio interface, offers Auto Beat Loop Function, Beat Loop, Loop Divide and Hot Loop function, also Auto BPM Lock which a let you set a Master Beat Per Minute (BPM) of the current song playing that can be synchronized with a touch of a button. 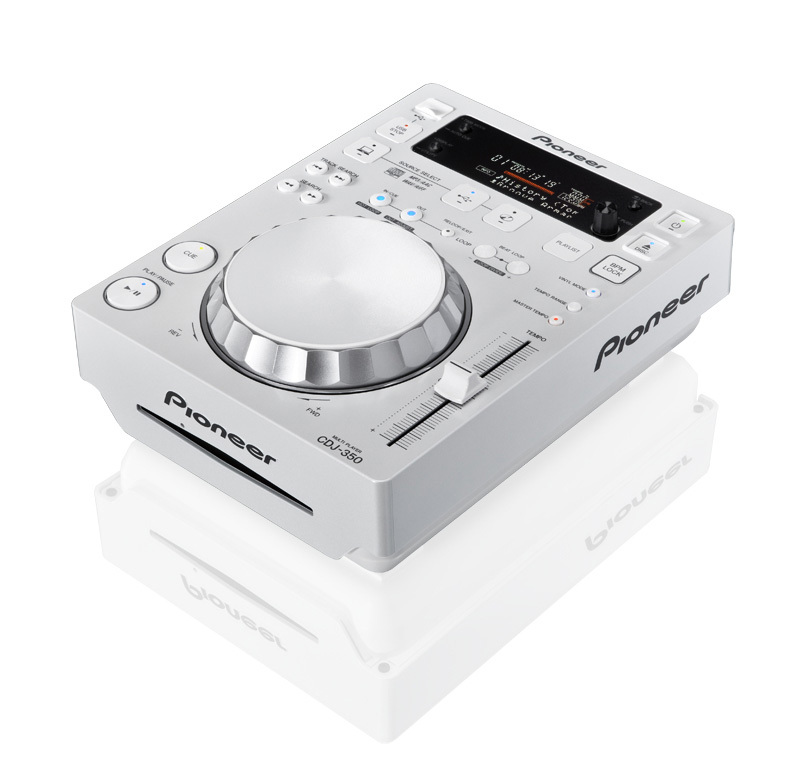 CDJ-350-W also allows you to mix up MP3, AAC, WAV and AIFF files from CD-R/RW discs, as well USB storage device. 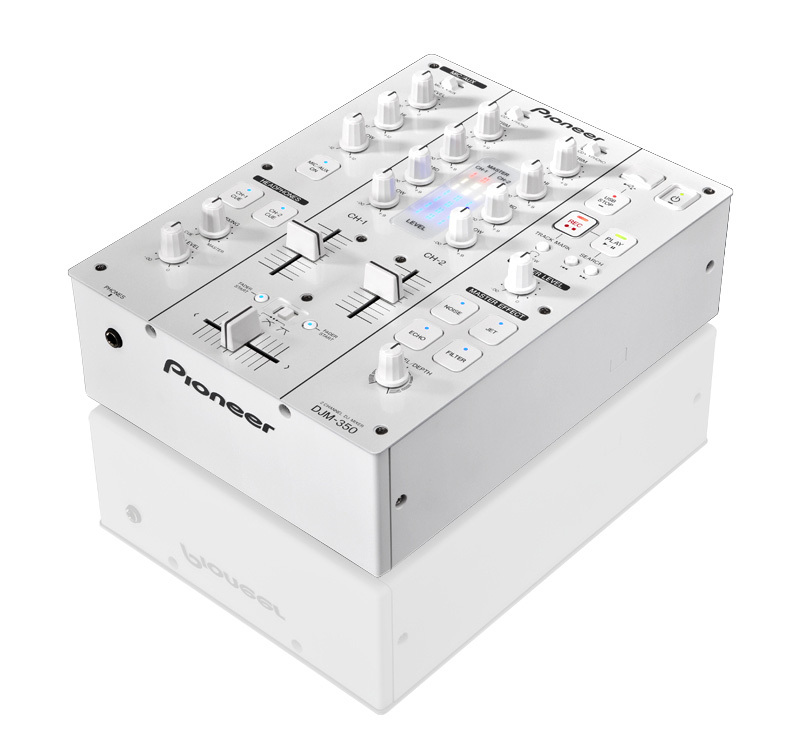 The DJM-350-W mixer is equipped with four sound effects, plus the newly added Noise and Short Echo, as well as an isolated 3-band equalizer. It has Digital Conversion that converts analog signals into digital form and analog and digital circuits are isolated to minimize induced noise. The mixer has a USB port on the front top panel that allow users to record their DJ mixes onto a USB storage device and also offers peak level meters that indicate the input levels of each channel, Crossfader Curve Adjustment function makes it possible to have three crossover curve patterns and of course multiple other features which only keen DJs understand. 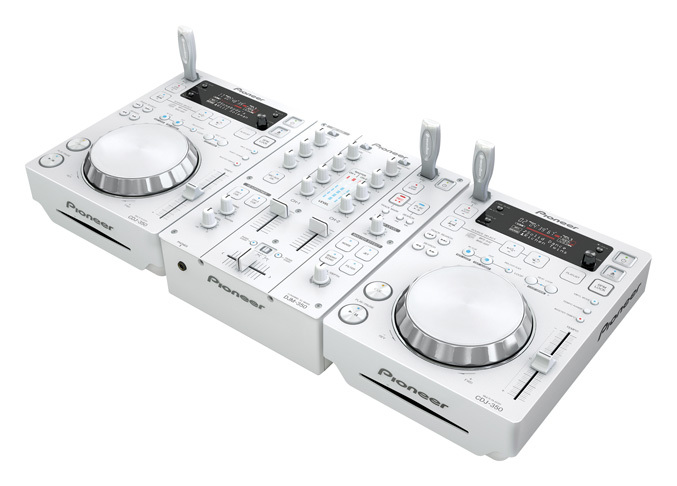 The new Pioneer’s pearl white DJ system with two CDJ-350-W players and one DJM-350-W mixer will be available in January 2011 for a suggested retail price of $2,445.